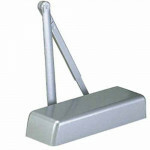 300-PBFCOV Cal-Royal Door Closer Grade 1, Non-sized, fully adjustable 1 through 4, (Barrier Free ADA..
300-PBFDACOV Cal-Royal Delayed Action Door Closer Grade 1, Adjustable Delayed Action For Handicapped..
420-P Cal-Royal Size 2 Door Closer Grade 2, for Doors 55-100 lbs. 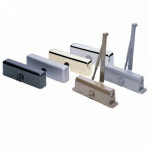 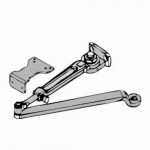 w/Regular Arm Standard Duty Comm..
430-P Cal-Royal Size 3 Door Closer Grade 2, for Doors 88-143 lbs. 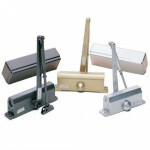 w/Regular Arm 5 Year Warranty ..
440-P Cal-Royal Size 4 Door Closer Grade 2, for Doors 120 to 187 lbs w/Regular Arm 5 Year Warranty..
500-PBF Cal-Royal Door Closer Grade 1, Size 1 thru 5 Lifetime Warranty CAN BE USED FOR RET..
720 Cal-Royal Door Closer Regular/Parallel Arm Size 2, Grade 1,Door Weights 55-100 lbs. 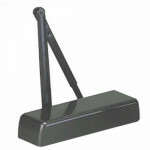 Lifetime War..
730BC Cal-Royal Door Closer Regular/Parallel Arm Size 3, w/Back Check Grade 1, Door Weights 88-143 l..
730 Cal-Royal Door Closer Regular/Parallel Arm Size 3, Grade 1,Door Weights 88-143 lbs. 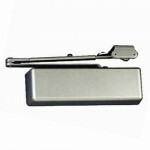 Lifetime..
740 BC Cal-Royal Door Closer Regular/Parallel Arm Size 4, w/Back Check Grade 1, Door Weights 120-187..
740 Cal-Royal Door Closer Regular/Parallel Arm Size 4, Grade 1,Door Weights 120-187 lbs. 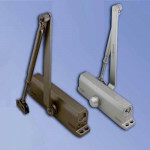 Lifetim..
750 BC Cal-Royal Door Closer Regular/Parallel Arm Size 5, w/Back Check Grade 1, Door Weights 176-265..
750 Cal-Royal Door Closer Regular/Parallel Arm Size 5, Grade 1,Door Weights 176-265 lbs. 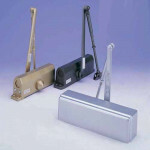 Lifetim..
CR441 10B Cal-Royal Door Closer Grade 1 ADA / Barrier Free Adjustable Door Closer With Full Cover an..
CR441 26 Cal-Royal Door Closer Grade 1 ADA / Barrier Free Adjustable Door Closer With Full Cover and..
CR441 26D Cal-Royal Door Closer Grade 1 ADA / Barrier Free Adjustable Door Closer With Full Cover an..